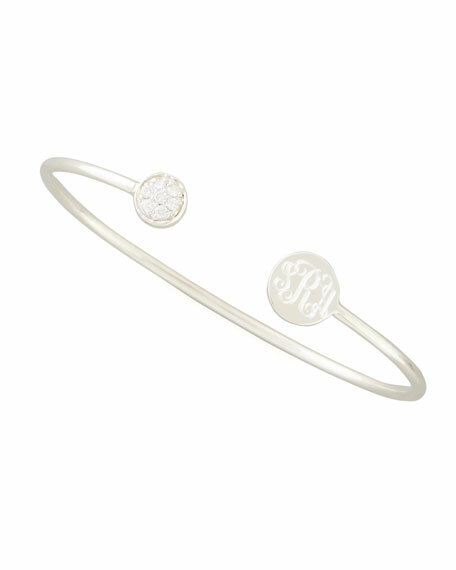 This Sarah Chloe bracelet boasts a diamond-detailed disc and your monogram. 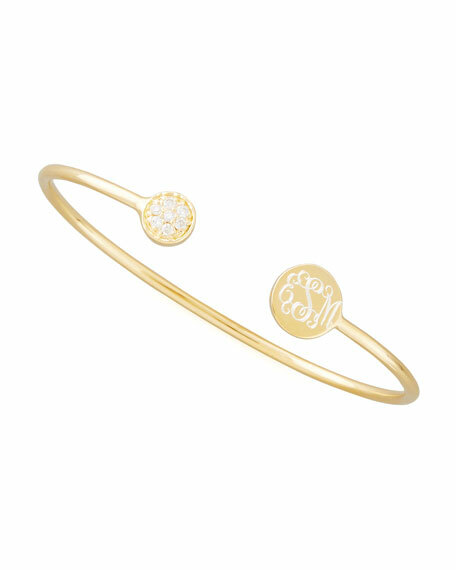 Make it your signature piece. 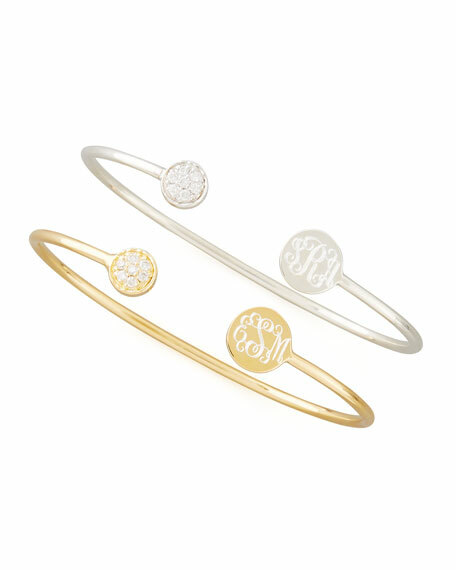 Round, flat end cap with your monogram (first, last, middle); pave diamond disc caps opposite end. Opening for slip-on style; slightly malleable.